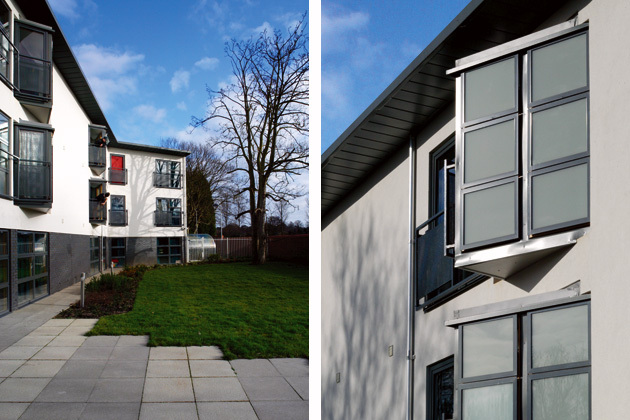 Tuke Manton was commissioned to undertake the design and development of 20 studio apartments. These would house vulnerable young people temporarily, providing them with structured support and enabling them to develop the life skills and confidence to move on to permanent accommodation. 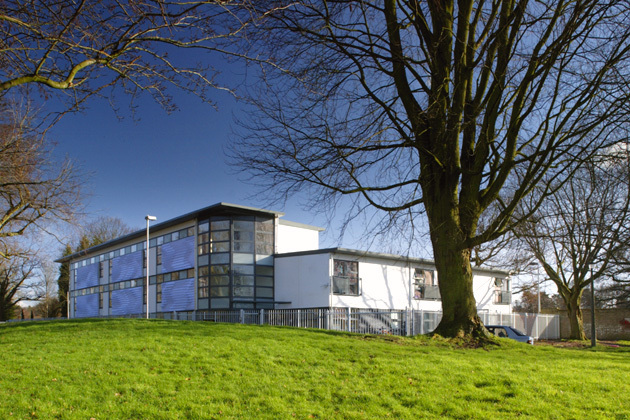 The greater part of the building construction was carried out using pre-assembled and finished modular steel units. Three of the apartments were designed for wheelchair users. As a practice, we are passionate about the integration of art and architecture and were fortunate that our client for this project, Look Ahead Housing & Care, shares our passion for this growing trend. Accordingly, we commissioned the artist Esther Rolinson to work with us at the design stage. 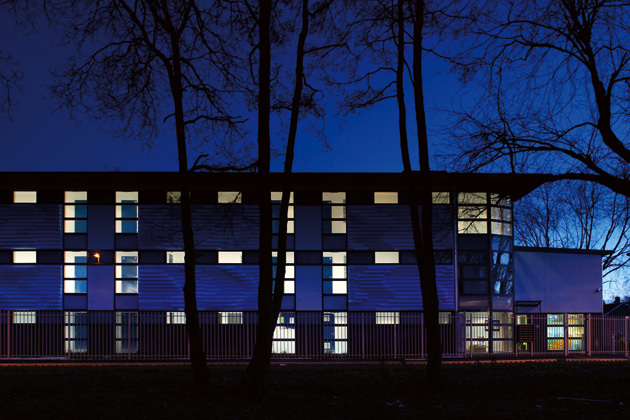 This resulted in her creation ‘Airwaves’, a study of the interaction of day and night light, which became a distinctive and imaginative aspect of the north elevation of the building.